ST. PETERSBURG, Fla. (April 2018) — Downtown St. Pete “smart, luxury, responsible” townhomes – Sabal Smart Homes – cut a ribbon on April 17 with several community announcements. Construction is underway on a second building, as is planning for further developments. The developer, Salt Palm Development, is the first Certified B Corp real estate development company in Florida and the southeast. Mayor Kriseman and other community leaders joined Salt Palm to not only open The Sabal, but also announce a beautification project initiated by Salt Palm, along with a city awareness campaign about the global “B Corp” movement and mentality. WHO: Salt Palm Development, Mayor Kriseman, and business/community leaders. WHY: Many reasons, such as global interdependence. Learn more April 17. WHERE: 532 Fourth Avenue South – downtown St. Petersburg (33701). WHEN: Tuesday, April 17, 2:00pm to 4:00pm. Salt Palm leaders have deep industry experience with various facets of business and development, as well as significant philanthropic and community endeavors. Along with being a Certified B Corp, Salt Palm is a member of 1% For The Planet and Conscious Capitalism Florida and is building several other partnerships related to corporate responsibility, globally and locally. About The Sabal: High-end, high-tech, high-efficiency, four-floor units, with spacious rooftop covered lanai and open deck, and such options as: rooftop alfresco kitchen, outdoor hot tub, in-home private elevator, electric car charger, and connected-home “Einstein Package.” Each customizable unit has three bedrooms, up to three full-baths, two half-baths, and one-car-garage. TheSabalStPete.com. 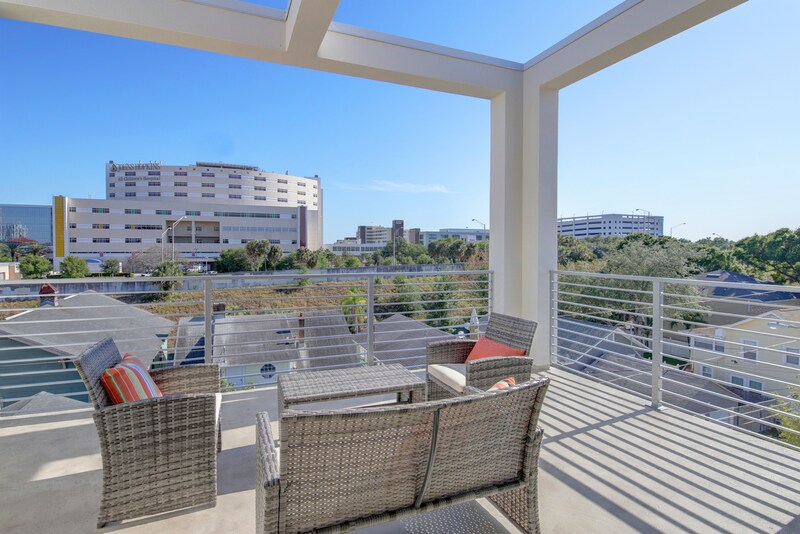 About Salt Palm: St. Pete-based Salt Palm Development creates high-end residential, sustainable, responsible developments for the Tampa Bay region. With focus on high functioning, quality designs, Salt Palm makes business decisions considering environmental and societal impacts. SaltPalm.com.